What happens in Vegas stays in Vegas, right? 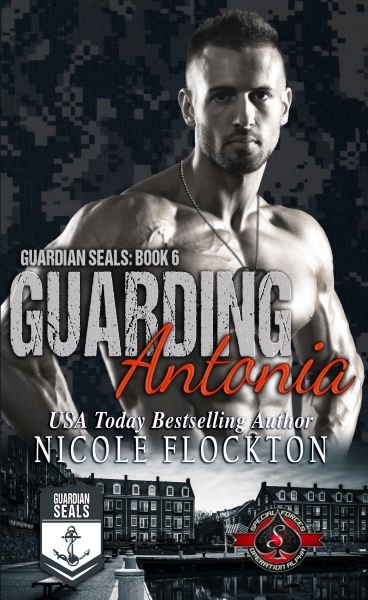 That’s what Antonia Rocca thought about her impetuous marriage to a Navy SEAL. When circumstances bring them back in the same orbit, the attraction is still there, even though she does everything to fight it. When it comes to light that their marriage isn’t annulled like she’d believed, she’s adamant that ending their union is for the best. Brendan “Robot” Dean is never one to make a rash decision, so his Vegas marriage is very out of character. However, when he discovers it is still valid, he considers it an opportunity to explore his attraction to Antonia and find out if they really could have a marriage. If only Antonia agreed with him. After Antonia witnesses a murder, Robot is there to provide support and keep her safe and she finds herself seeing him in a way that has her thinking of a future she never imagined. Before they get the chance to find out, Antonia is taken by the murderer. Robot and his team must race against time to save her from becoming his next victim.